Euthanasia Prevention Coalition Euthanasia Prevention Coalition: New Zealand native group rallies against euthanasia bill. 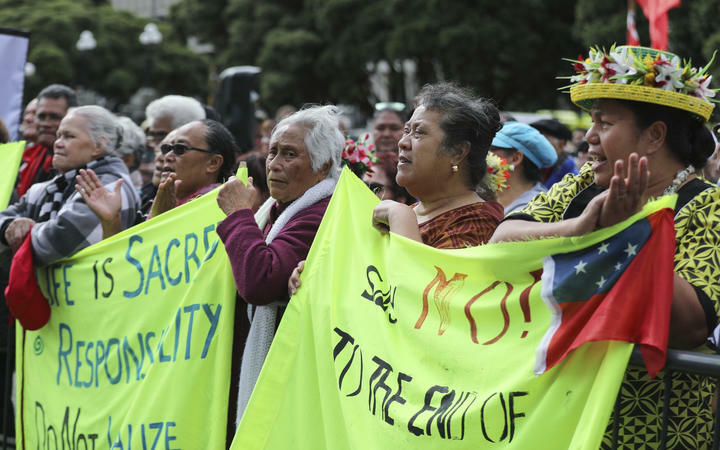 New Zealand native group rallies against euthanasia bill. About 200 hundred people gathered in parliament grounds to protest against the bill. One of the speakers at the rally, Dr Luatupu Cleverley, said the legislation compounded poor health outcomes for the Pacific community. Pacific people already suffer the worst statistics in the New Zealand health system and the bill goes against their culture and traditions, Dr Cleverley said. It is traditional for Pacific families to look after their own and the government should focus on improving palliative care, she said. "What decision you're making does not fit us: socially, politically, culturally, emotionally, physically. Everything." Protesters were upset about the lack of consultation that the government provided the Pacific People. The Justice Committee recently released its report on the euthanasia bill. They concluded that the "euthanasia bill is not workable in its present state." New Zealand lawyers oppose euthanasia bill. Oklahoma Death Certificate Accuracy Act passes. Death lobby debates the term assisted suicide.